This volume is the most complete and authoritative book that has been compiled on the subject to date. It has been several years in research and preparation. The co-authors are thoroughly versed in the art of magic and the science of chemistry. By combining the two old professions they have produced this new volume, Modern Chemical Magic . For amusement in your own home or entertaining a group of friends, this new overture to magic has no peer; it is startling, mystifying and most effective. It gives a new approach to the professional or amateur magician to add variety to his programs. It serves the science teacher and scholar with something that shows the more interesting and dramatic side of the age-old science of chemistry. Tricks, effects and methods are well explained. The chemicals are easily procured, the majority of them being in powder form, which makes them easy to handle and carry. 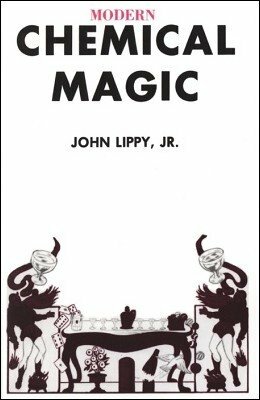 Modern Chemical Magic is divided into fifteen chapters with a brilliant introduction by the world famous magician, Harry Blackstone. Contained herein are over two hundred and fifty tricks, methods and effects - from chemical daubs to chemical demons - truly chemical-magic miracles, all explained in detail and in some instances illustrated. I feel lucky to have found this here. I have been trying to put together a chemical trick to add to my current act. Now this will be my 'go to' reference source for chemical magic.